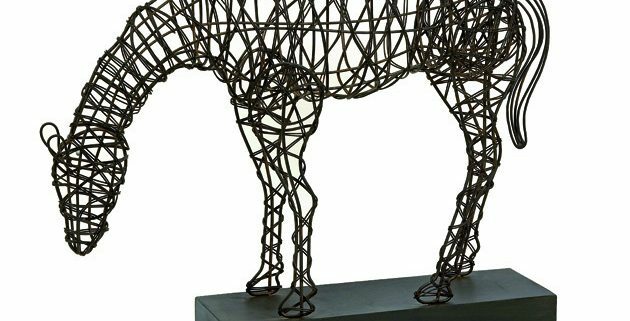 Dimensions: 19.75″h x 25.5″w x 5.25″; Materials: 100% Wrought Iron; No assembly required. Available to trade professionals at IMAXCorp.com. 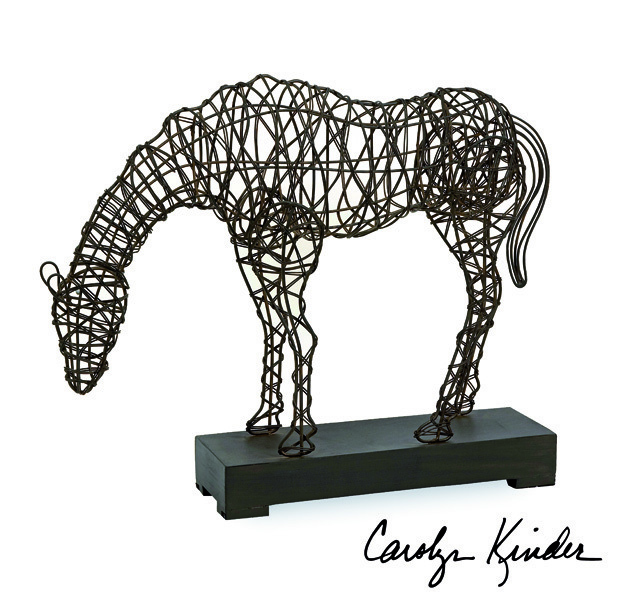 For retail purchase Google search term “Carolyn Kinder Anatole Woven Horse Statuary”.